The night before you mix the dough, make a soaker by placing the grains in a small bowl and pour over enough boiling water to cover. Feel free to use any mix of grains or seeds you like. Cover the mix with a clean towel and leave overnight. When you begin your bread, add the soaker in at the Mix and continue on through the Bake. Depending on how much water the grains absorb, you might need to add more to reach the desired dough feel. This bread is sure to draw a crowd, so be prepared for a showdown over the last slice. Happy Trails!! Soak the raisins in enough hot water to cover for at least 30 minutes. Drain them and add them at the Mix, along with the rosemary. You will notice that the water weight is slightly less in this bread. The raisins retain a lot of water when they soak so less is needed overall. 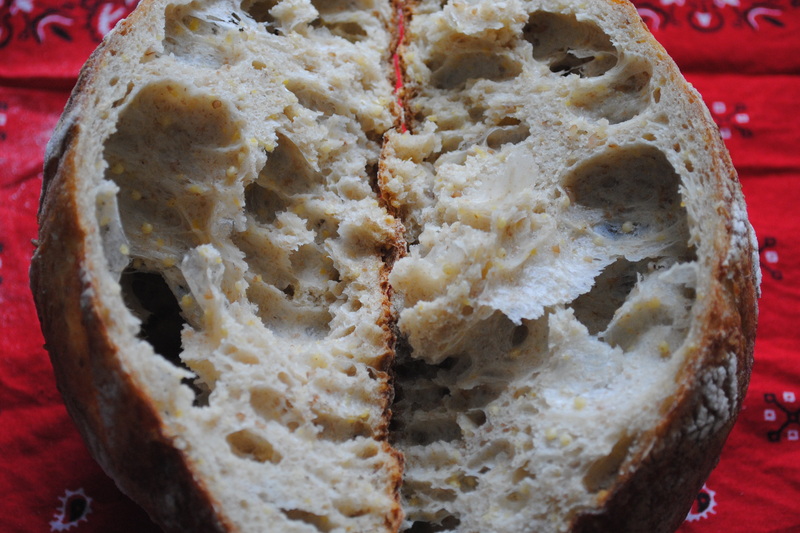 However, this bread has a higher percentage of whole-wheat flour which will absorb more water. As always, use your intuition and feel out your dough. Continue on through the Bake. 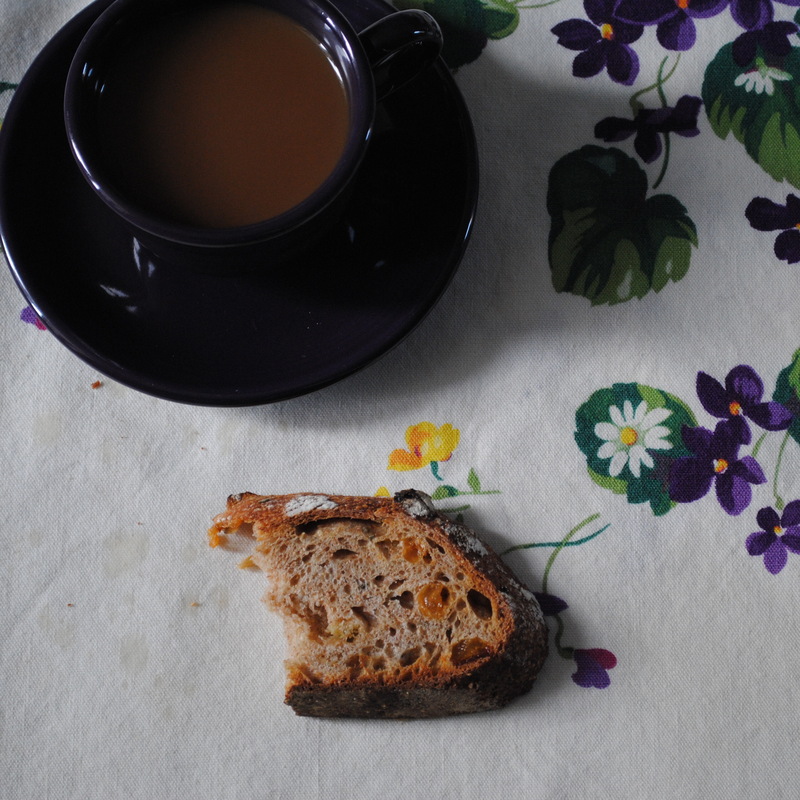 This bread is a perfect holiday treat with a hot mug of tea. Slippers encouraged! !